Locomotive mechanic (1968). Engineer (food technology/food chemistry ) (1972). Head of stock control at a State-owned refrigeration plant in Berlin (1972-1974). Research assistant at the Humboldt University, Berlin (1974-1980). Academic assistant at the Institute for Secondary Raw Materials Management (1980-1988). Head, Berlin/Lichtenberg Environmental Inspectorate (1988-1990). Politics (Member of the GDR Parliament/Member of the Bundestag) (since 1990). Representative of the New Forum at the Round Table (1989-1990). Member of the Volkskammer (GDR Parliament) (1990). Spokesman for Bündnis 90 (1991-1993). 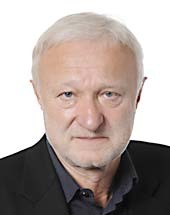 Member of the Bundestag, parliamentary business manager of Bündnis 90/Die Grünen (1990-1998); Member of the Bundestag, economic policy spokesman of Bündnis 90/Die Grünen (1998-2005). Member of the Board of the German Lutheran Convention (2003-2009). Member of the Supervisory Board of the Aufarbeitung Foundation (devoted to the examination and reappraisal of the Communist dictatorship in the GDR) (since 2002). (3) The Union seeks to promote, develop and consolidate the values of liberty, democracy, respect for human rights and fundamental freedoms, principles of equality and the ruArticle 21 of the Treaty on European Union provides that its external action shall be guided by the same principle which have inspired its own creation: democracy, the rule of law, the universality and indivisibility of human rights and fundamental freedoms, respect for human dignity, the principles of equality, respect for human dignity, the principles of law on which it is founded through dialogue and cooperation with third countriesequality and solidarity and respect for the principles of the United Nations Charter and international law. (7) A number of major developments have taken place since the European Neighbourhood Policy was launched and the European Neighbourhood and Partnership Instrument was set up. These include a deepening of the relationship with the partners, the launch of regional initiatives and democratic transition processes in the region. This triggered a new European Neighbourhood Policy vision set out in 2011 as a result of a comprehensive Strategic Review of thein the Neighbourhood has led to a comprehensive Strategic Review of the European Neighbourhood Policy. It outlines key objectives for Union cooperation with Neighbourhood countries and provides for greater support to partners committed to building deep and sustainable democratic societies and undertaking reforms, in line with the ‘'more for more’' and ‘'mutual accountability’' principles. These include a deepening of the relationship with the partners and civil society of the countries involved if the requirements based on the deep democracy approach are met, the launch of regional initiatives and a strong support to democratic transition processes in the region. (7a) Through a renewed Neighbourhood Policy, the Union will work towards establishing a partnership with societies across the Eastern and Southern countries as too often in the past the Union has privileged relations with those in power over societies. Non- governmental actors and other independent stakeholders are key actors in promoting democratic reforms. This Policy will therefore establish an institutionalised mechanism aimed notably at developing CSOs' ability to monitor reforms and participate in good governance process of public policies and programmes. (9) Furthermore, it is important to foster and facilitate cooperation for the common benefit of Union and its partners, notably through pooling of contributions from internal and external instruments of the Union budget, in particular for Cross- Border Cooperation, regional cooperation projects, infrastructure projects of Union interest that will pass through Neighbourhood countries and other areas of cooperation. (12) Cross-Border Co-operation willshould contribute as appropriate to the implementation of existing and future regional cooperation, for example in the Northern Dimension and Black Sea regions, as well as and of macro-regional strategies. (14a) The European Neighbourhood Instrument funding supports also the implementation of regional cooperation i.a. in the framework of the Northern Dimension and the Black Sea Synergy as well as the external aspects of macro- regional strategies. (18) Furthermore, since the objectives of this Regulation, namely to promote deep democracy and "more for more" at the core of the enhanced political cooperation and a rights-based progressive economic integration between the European Union and neighbouring countries, cannot be sufficiently achieved by the Member States and can, by reason of the scale of the action, be better achieved at Union level, the Union may adopt measures, in accordance with the principle of subsidiarity as set out in Article 5 of the Treaty. In accordance with the principle of proportionality, as set out in that Article, this Regulation does not go beyond what is necessary in order to achieve those objectives. (21) Gender equality and, women empowerment, anti- discrimination, social justice and social inclusion, fight against inequalities as well as environmental sustainability including addressing climate change should be a cross-cutting objective in all actions undertaken under this Regulation. 1. The Union aims to establish an area of prosperity and good neighbourliness involving the European Union and the countries and territories listed in the Annex to this Regulation (hereinafter ‘the partner countries’) by developing a special relationship consistent with Articles 2, 3, 6, 21 of TEU and 8, 9, 10, 11 of TFEU. 2. Union support under this Regulation shall be used for the benefit of partner countries and the regions involved in the Cross-Border Cooperation. It can also be used for the common benefit of EUthe Union and partner countries. 3. Union funding may also be used for the purpose of enabling the Russian Federation to participate in Cross-Border Cooperation, for the common benefit of border regions, and in relevant multi-country programmes, to reflect the specific status of the Russian Federation as both a Union neighbour and a strategic partner in the region. 1. Support under this Regulation shall promote the objectives of deep democracy, fight against inequalities and sustainable and inclusive development at the core of the enhanced political cooperation and of the progressive economic integration between the Union and the partner countries and, in particular, the implementation of partnership and cooperation agreements, association agreements or other existing and future agreements, and jointly agreed action plans. 3. The achievement of these objectives shall be measured using notably the relevant EU periodicUnion annual progress reports on the implementation of the policy, and for paragraphs 2(a), (d) and (e), the relevant indicators established by international organisations and other relevant bodies; for paragraphs 2(b), (c) and (d) the uptake of the EUnion regulatory framework by the partner countries as relevant; for paragraphs 2(c) and (f), the number of relevant agreements and cooperation actions. The indicators will include, among others, adequately monitored democratic elections, level of corruption, trade flows, indicators enabling measuring internal economic disparities, including employment levelobjectives of deep democracy as developed in the renewed European Neighbourhood Policy must be dully assessed in the overall evaluation of the achievement, among others, adequately monitored democratic elections and free and fair elections, freedom of association, expression and assembly and a free press and media, gender equality, fight against discrimination, the rule of law, an independent judiciary and the right to a fair trial, fighting against corruption, security and law enforcement sector reform and the establishment of democratic control over armed and security forces. 2. Jointly agreed action plans or other equivalent documents consistent with the objectives of building a sustainable and deep democracy between the partner countries and the Union shall provide the key point of reference for setting the priorities for Union support. 3a. Cooperation with Russian Federation is based on its status as the Union neighbour and strategic partnership. The Northern Dimension policy documents and other relevant documents provide the political framework for regional and Cross-border cooperation with Russia. Black Sea Synergy is based on the Joint Statement of the Ministers of Foreign Affairs of the countries of the European Union and of the wider Black Sea area. 1. Union support provided under this Regulation to each partner country shall be differentiated in form and amounts according to the partner country's commitment to reforms and its progress in implementing these reforms. Its support shall be adapted in line with progress on democracy, and that it might be reconsidered or reduced. Such differentiation shall reflect the level of ambition of the country's partnership with the Union, its progress in building deep and sustainable democracy, its progress in implementing agreed reform objectives, the country's needs and capacities, and the potential impact of Union support. 2. Union support under this Regulation shall, in principle, be established in partnership with the beneficiaries. The partnership shall, involve as appropriate, national, regional and local authorities, other stakeholders, civil society, soci a transparent and verifiable way and through an institutionalised mechanism, involve the following stakeholders in preparing, implementing, monitoring and evaluating Union support: (i) civil society organisations; (ii) social and environmental partners and; (iii) other non-state actors in preparing, implementing and monitoring Union support. The Commission, and in particular the Union's delegations in partner countries, shall ensure that appropriate steps are taken to set up this mechanism aimed at enhancing the capacities of civil society organisations and other stakeholders to play a meaningful part in that process and to grant an effective domestic accountability over public policies and programmes. 3. Union support under this Regulation shall in principle be co-financed by the partner and other participating countries through public funds, contributions from the beneficiaries or other sources. The same principle shall be applicable to the cooperation with the Russian Federation, particularly with regard to programmes referred to in points (b) and (c) of Article 6(1) (c). Co-financing requirements may be waived in duly justified cases and when this is necessary to support the development of civil society and non-state actors, without prejudice to compliance with the other conditions set out in the Financial Regulation. 2. In order to ensure the continuation of existing cooperation schemes and in other justified cases, territorial units adjoining to those referred to in paragraph 1 may be allowed to participate in Cross-Border Cooperation. The conditions under which adjacent regions may participate will be laid down in the Joint Operational Programmes. Border regions that belong to countries of the European Economic Area (EEA) and the relevant regions in countries covered by the Instrument for Pre-accession Assistance can also participate in the programmes mentioned in points (a), (b) and (c) of paragraph 1. Participation of the European Economic Area countries in the Cross-Border Cooperation programmes will continue to be based on their own resources. 12. Following the principle of partnership, participating countries and regions shall jointly select actions for Union support that are consistent with the priorities and measures of the joint operational programme. Without prejudice to the provisions on the suspension of aid in partnership and cooperation agreements and association agreements with partner countries and regions, where a partner country fails to observe the principles of democracy, the rule of law and respect for human rights and fundamental freedoms, the Union shall invite the country concerned to hold consultations in view of finding a solution acceptable to both parties, except in cases of special urgency. Where consultation with the country concerned does not lead to a solution acceptable to both parties, or if consultations are refused or in case of special urgency, the Council may take appropriate measures in accordance with Article 215(1) of the Treaty on the Functioning of the European Union, which may include full or partial suspension of Union support while further reinforcing its support to civil society actors.